Don't miss this RARE opportunity to purchase this stunning townhome on a prime A+ location within Corte Madera's Meadowcreek community. Newly remodeled 3 BR/2.5 BA backing up to to a serene creek teaming with waterfowl, this large approximately 1,690 square foot townhome features high vaulted ceilings, a large outdoor deck and garden area, a sparkling remodeled kitchen and master bath, and more. Also with a 2-car garage plus a 2-car carport. 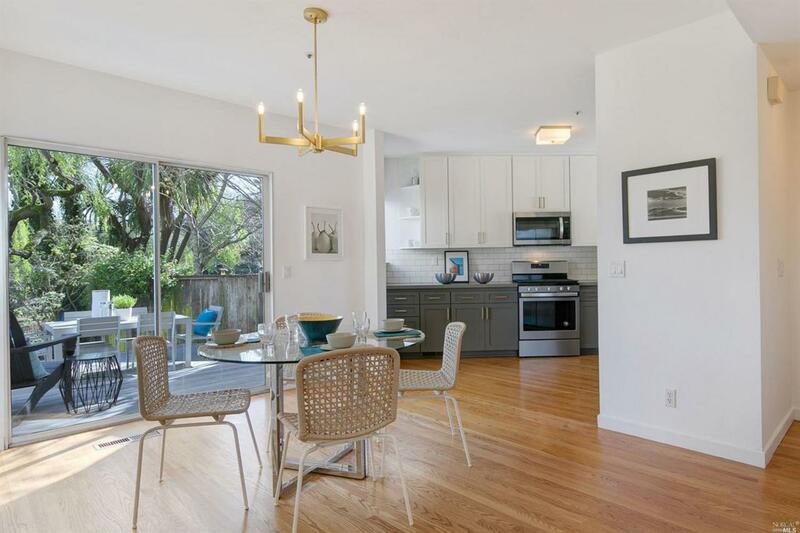 Listing courtesy of Thomas Henthorne of Golden Gate Sotheby's International Realty.